National Hollywood Reporter, Shannon Rose, also known as “Mr. Hollywood” sits down with Harvey Weinstein, CEO of the Weinstein Company about his new movie “My Week with Marilyn”, starring Michelle Williams as Marilyn Monroe. The movie depicts the accounts of “Colin Clark” who met Marilyn Monroe on set of “The Prince and the Showgirl” back in 1956, during the week of his diary that was missing. The movie shows Monroe as he escorts the Hollywood legend to get away from the everyday life and pressures of Hollywood’s lime light. “Mr. 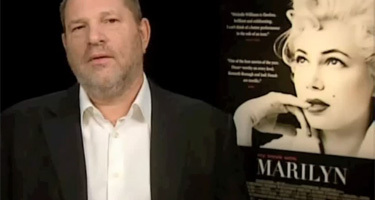 Hollywood” talks with Weinstein about this movie and what inspired him to create this film, along with lots of inside questions you would want to know about this famed Producer.